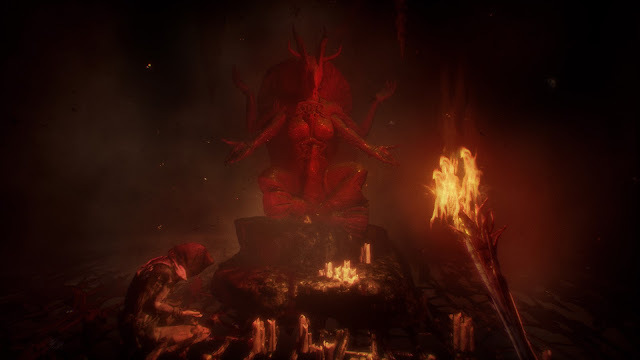 Put the kids to bed and get ready for untold horror, as Madmind Studio have recently released their gory filled first person survival horror game ' Agony ', which is now available to buy through Steam and also available for Playstation 4 and Xbox One. Featuring bloody visuals in the horrific depths of hell, you begin your journey as a tormented soul without any memories of your past, and must explore, and interact with other damned people and possess simple minded demons to find a way to escape, or forever suffer the ultimate torment. addition to featuring in countless “Most anticipated Horror Games 2018” lists, the kickstarter financed title is set to challenge players with its brutal and malevolent environments. It's just a shame through all the hype, the blood dripping from the walls and the hellish screams of the damned, that Agony isn't getting the best of feedback on Steam, noting flaws, clunky movement and even bugs with characters stuck in the walls. Still as ever the case of reviews, others do like the game with one such person enjoying it immensely to the point of comparing it to Outlast.